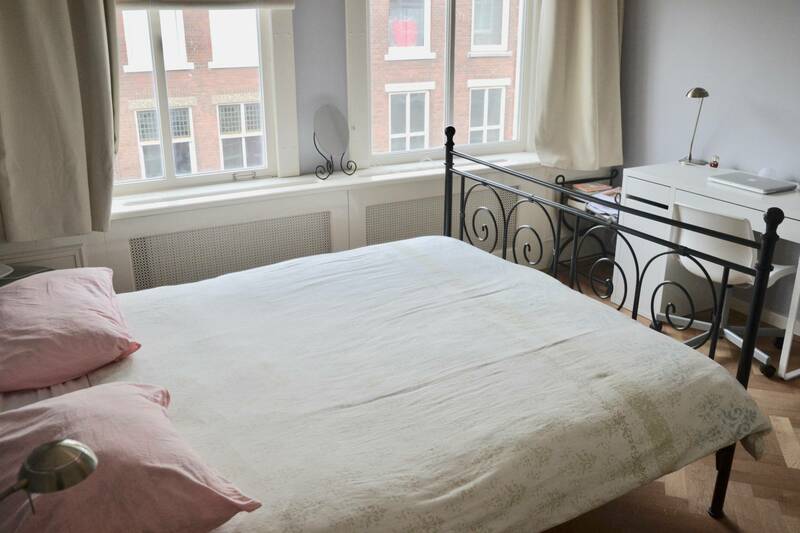 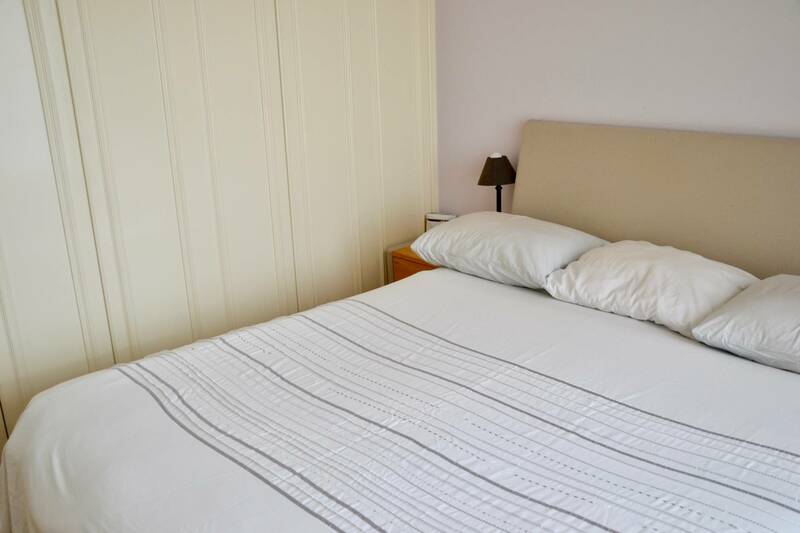 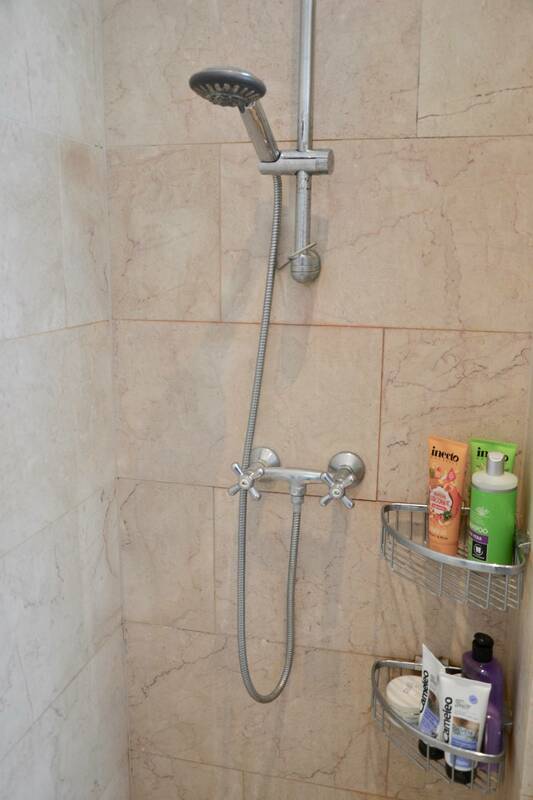 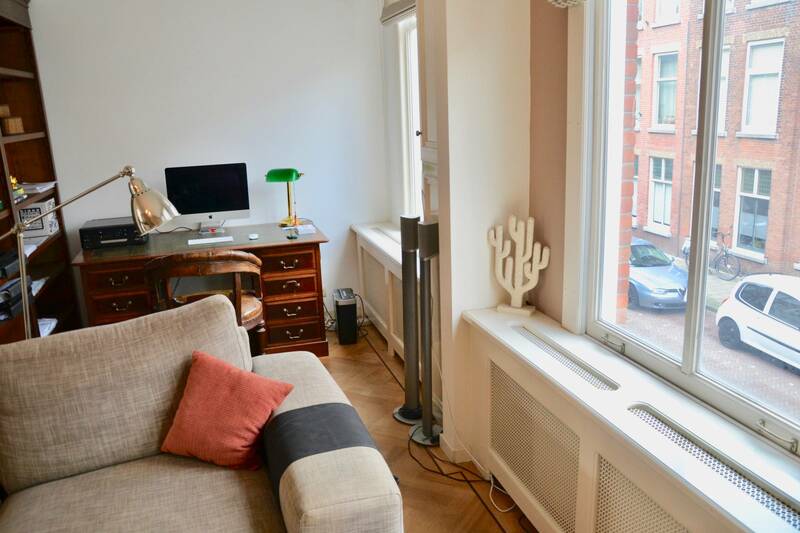 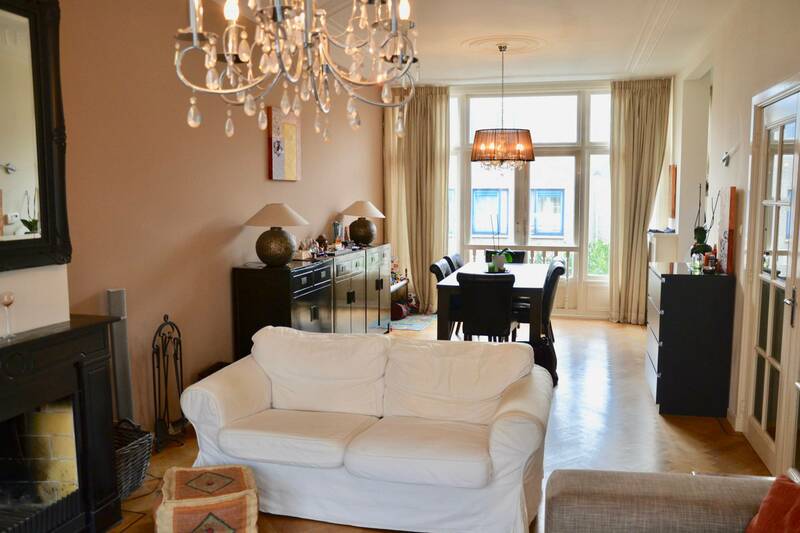 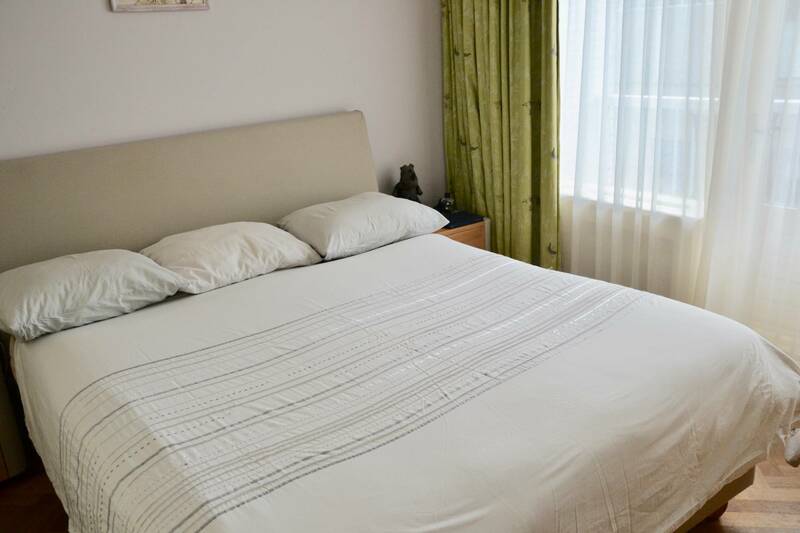 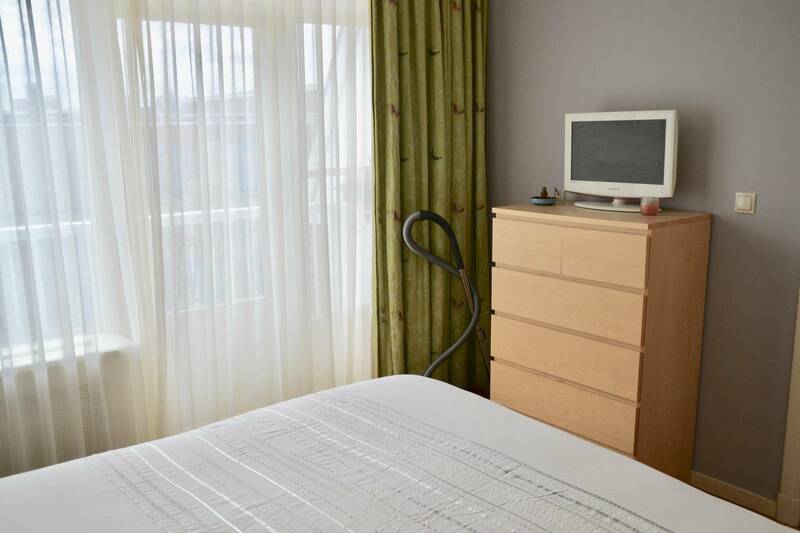 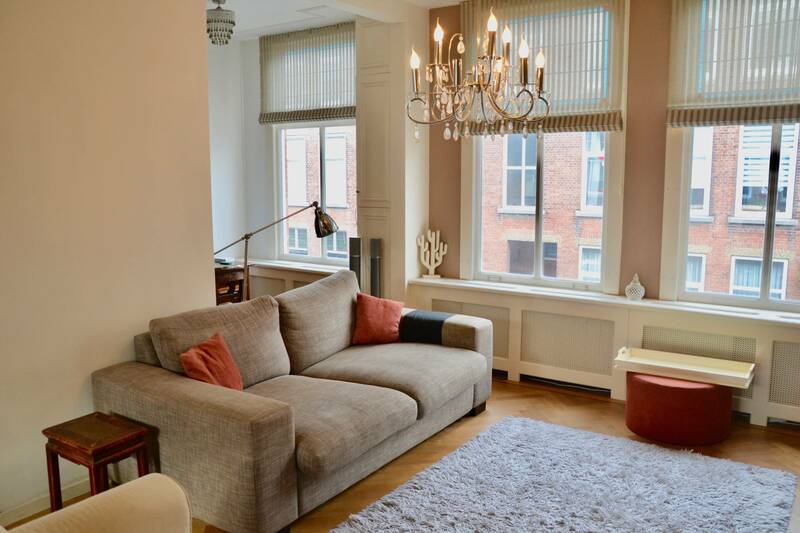 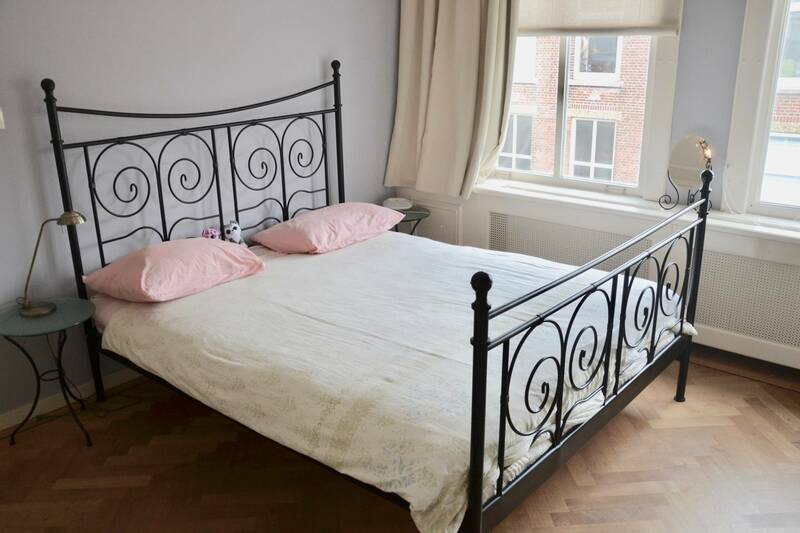 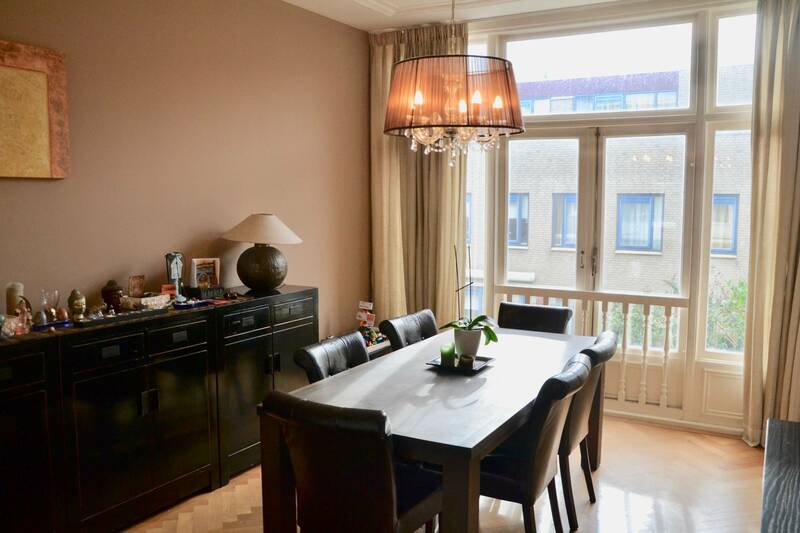 A spacious 110 m² fully furnished 2-floor apartment with 3 bedrooms and roof terrace in the old centre of Scheveningen with all facilities nearby: good restaurants, shops (Stevinstraat), public transport (tram, buses) and the sea. 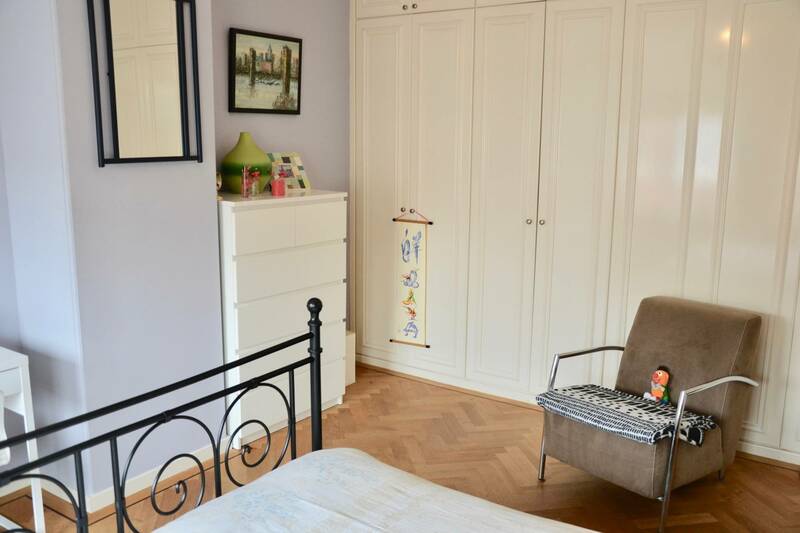 The whole house has oak-wood parquet. 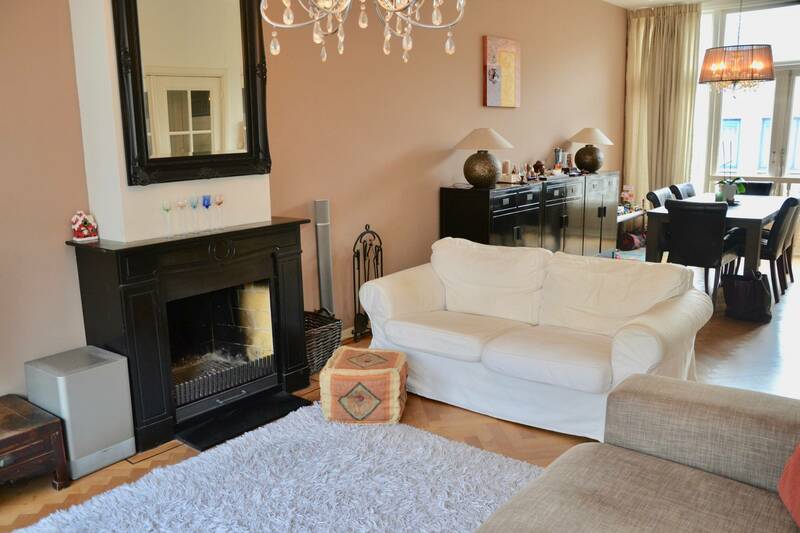 Stairs to the first floor with the living room (approx. 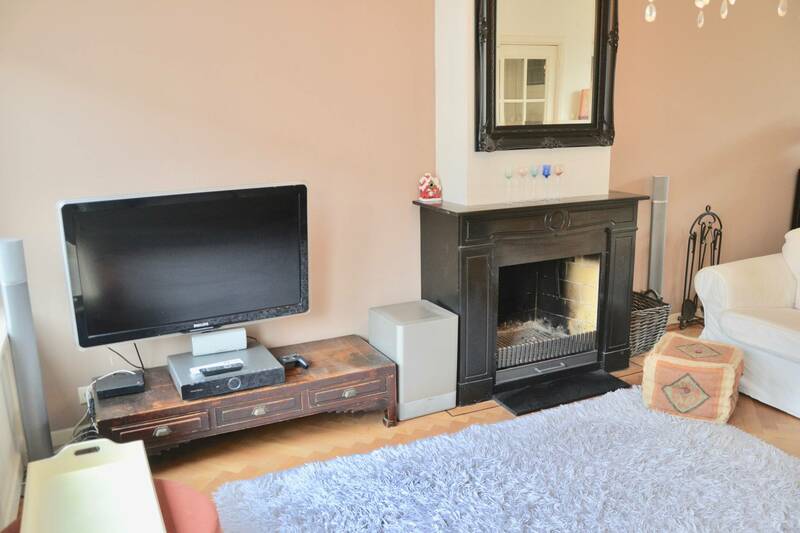 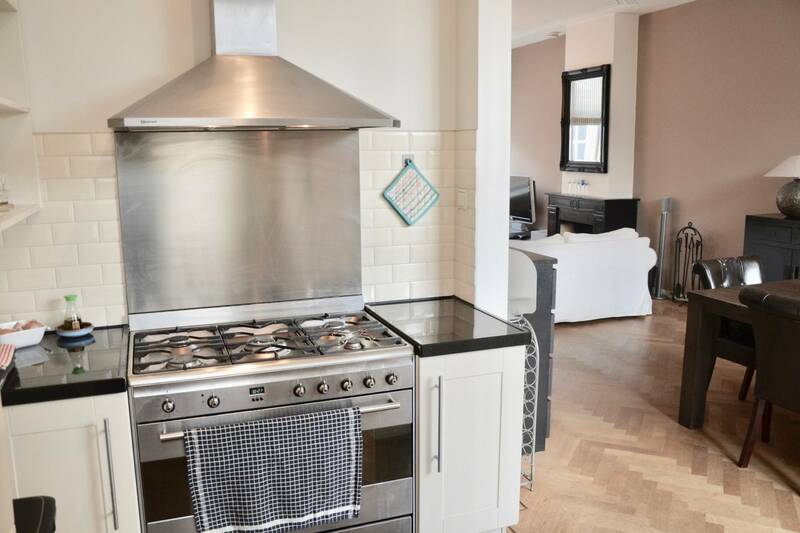 34m²) with an open fireplace, high decorated ceiling and a a open fully equipped recently build kitchen. 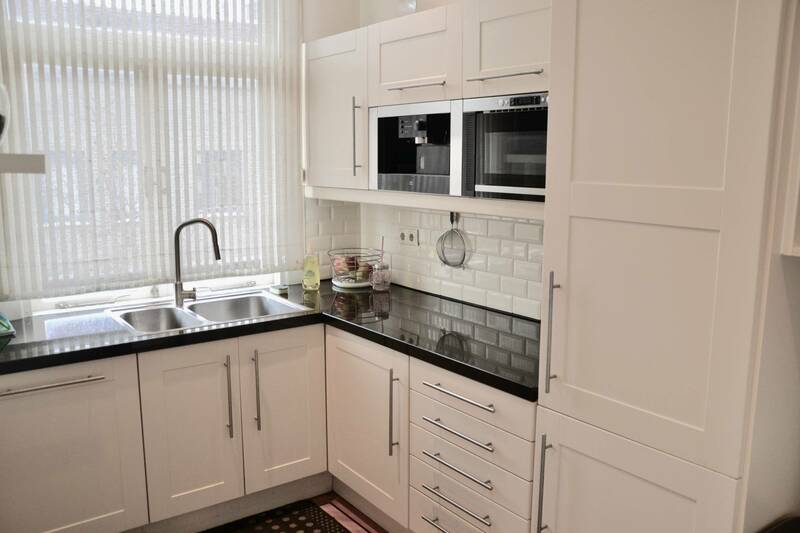 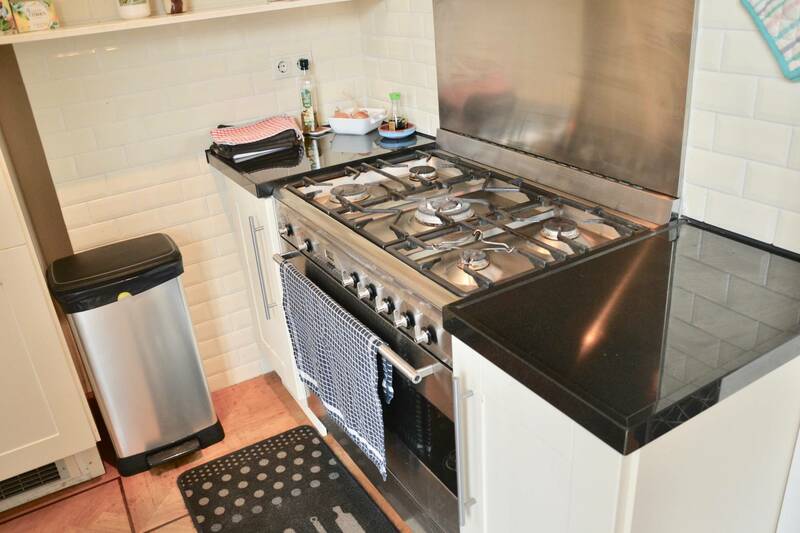 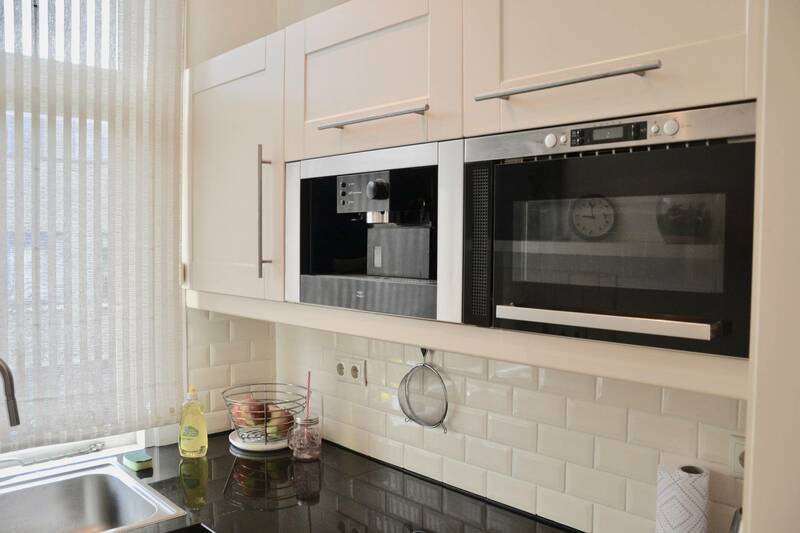 Dishwasher, oven, microwave and built in coffee machine are available in the kitchen. 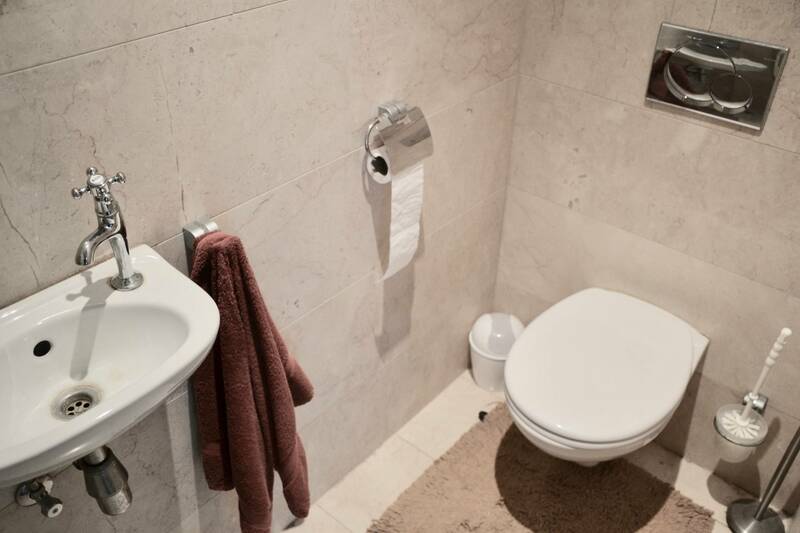 Modern Italian marbled toilet. 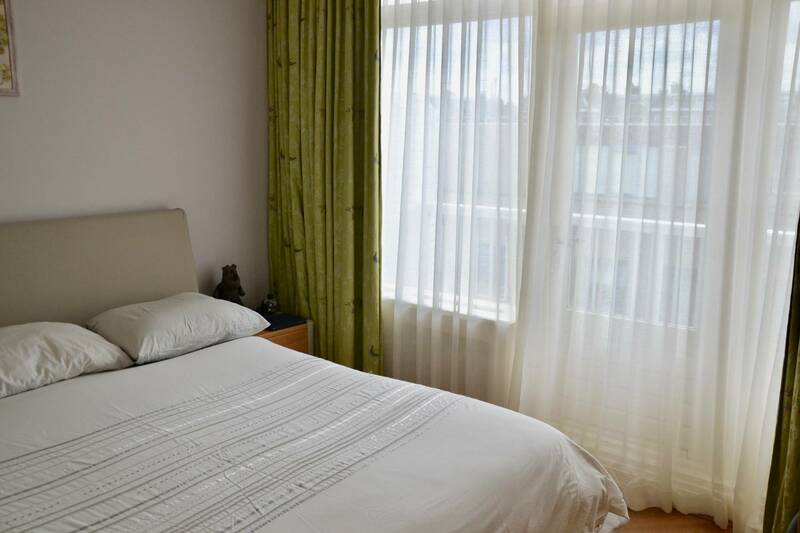 Second floor: Master bedroom (approx. 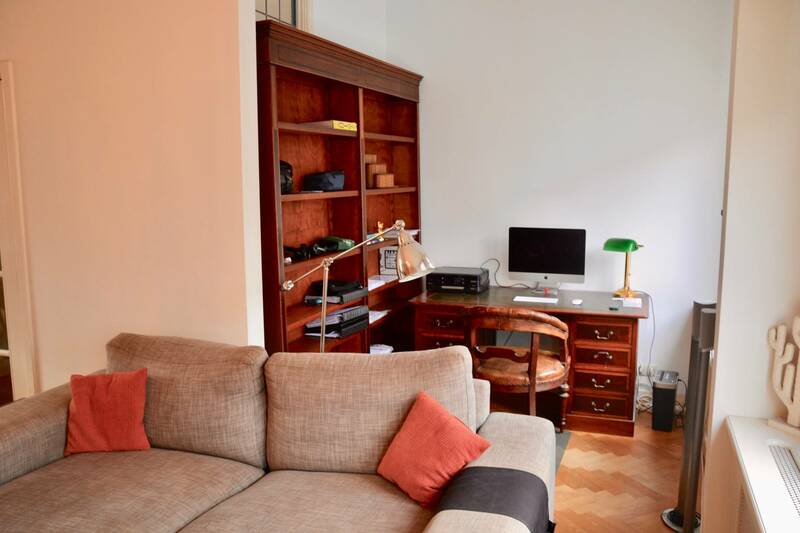 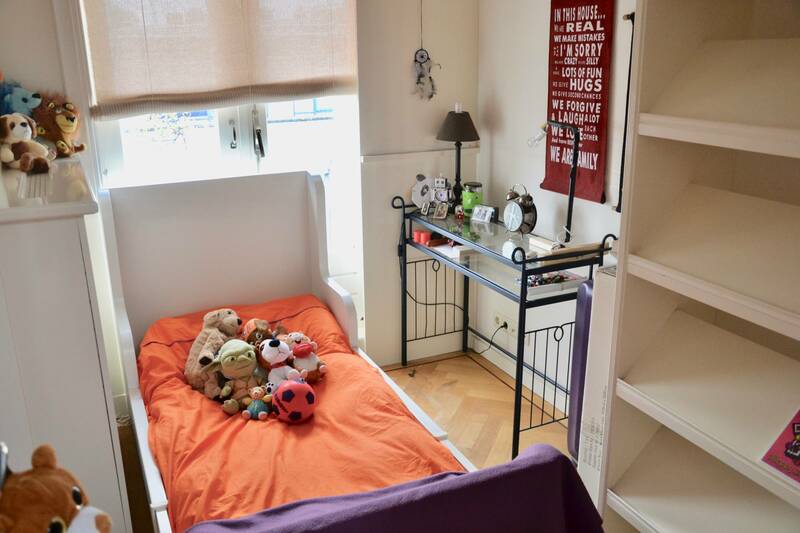 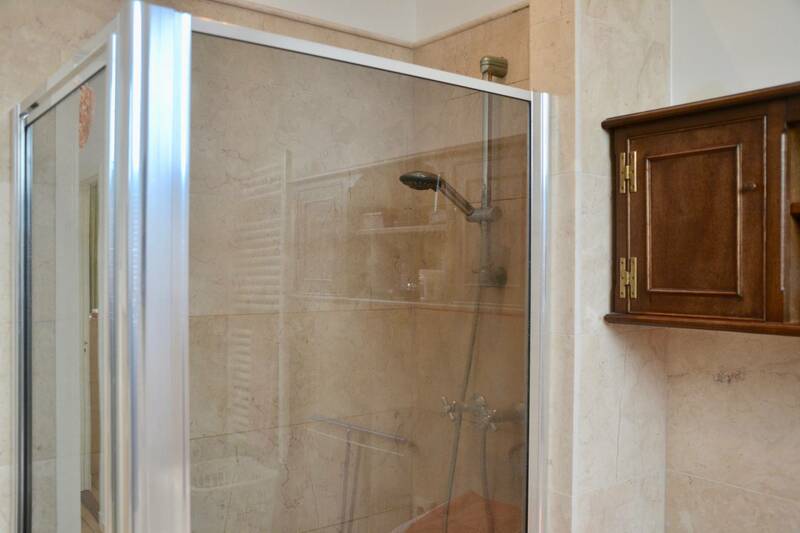 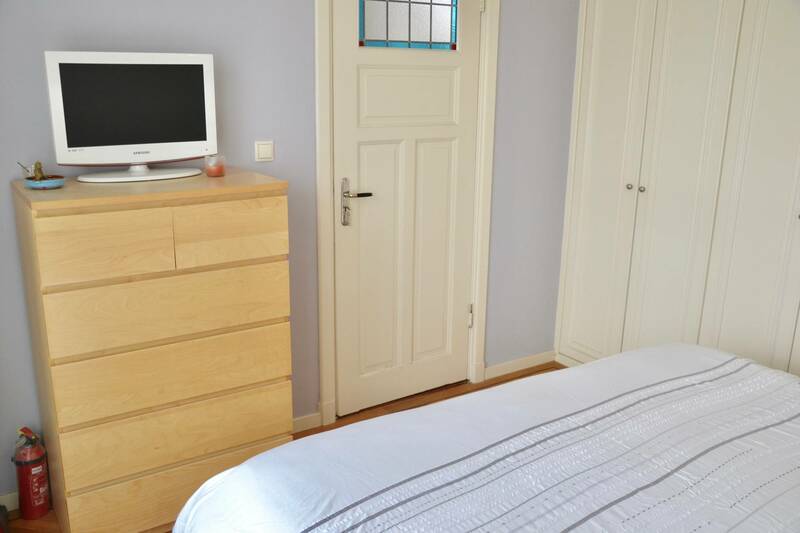 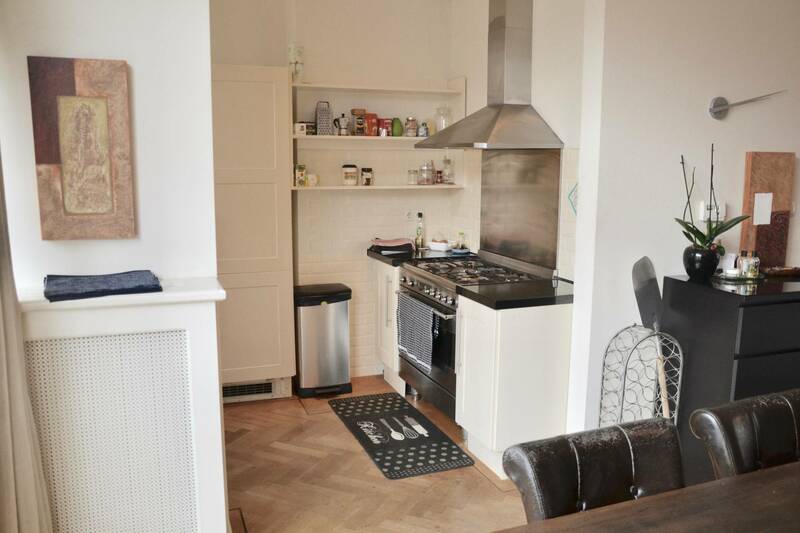 23 m²) with very spacious wall-to-wall built-in cupboards. 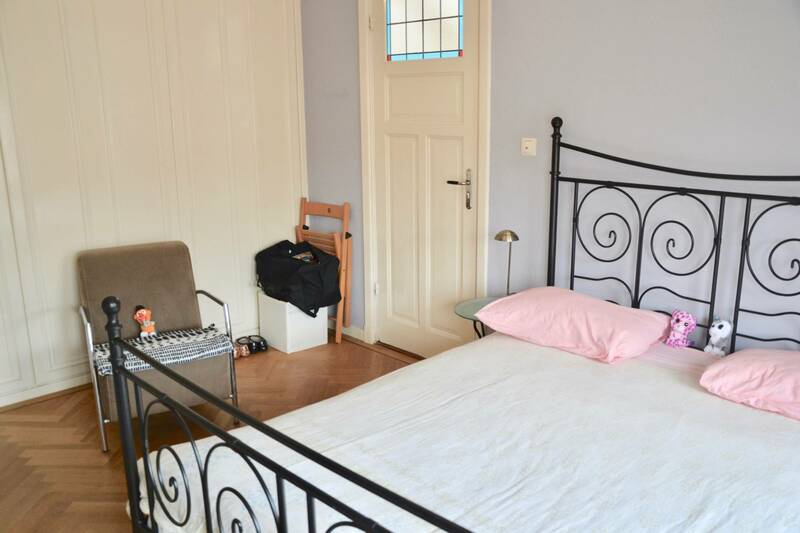 Second bedroom (approx. 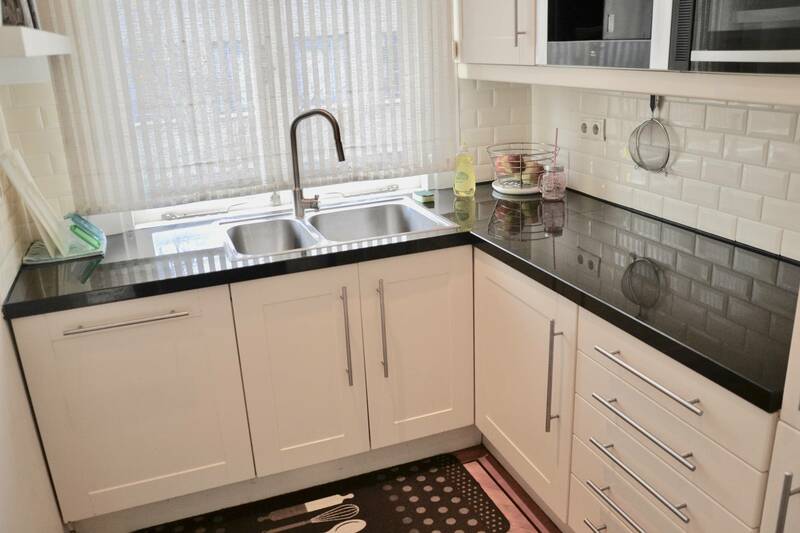 22 m²) with built-in cupboards too. 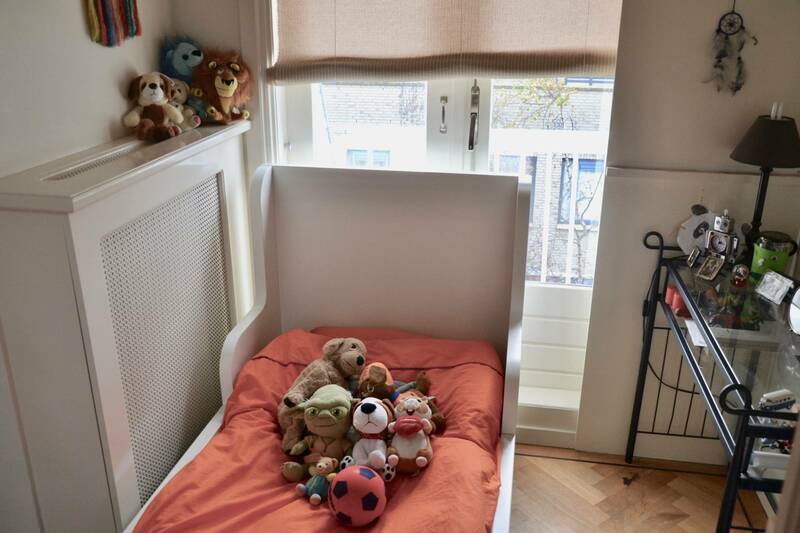 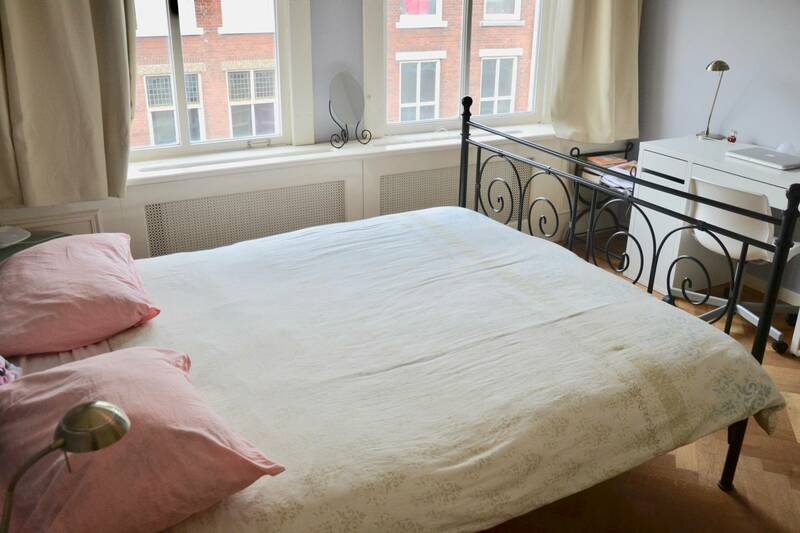 The 3rd bedroom which leads to the balcony can also be used as a walk-in closet. 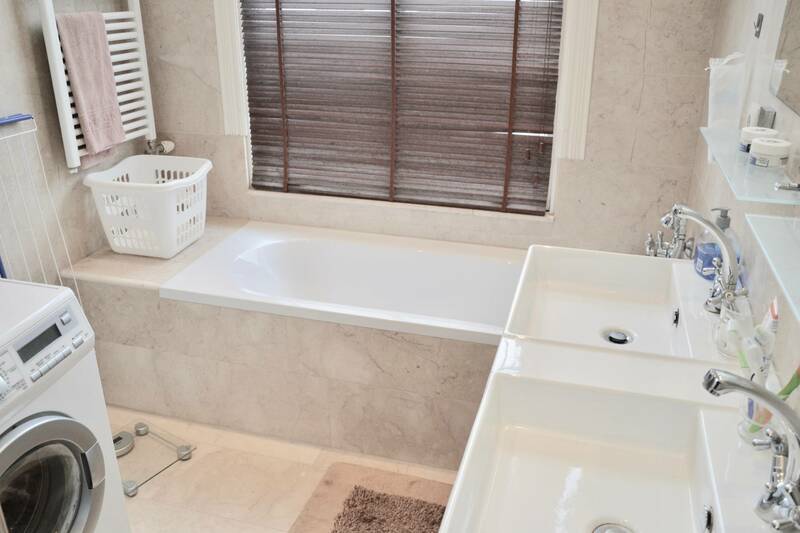 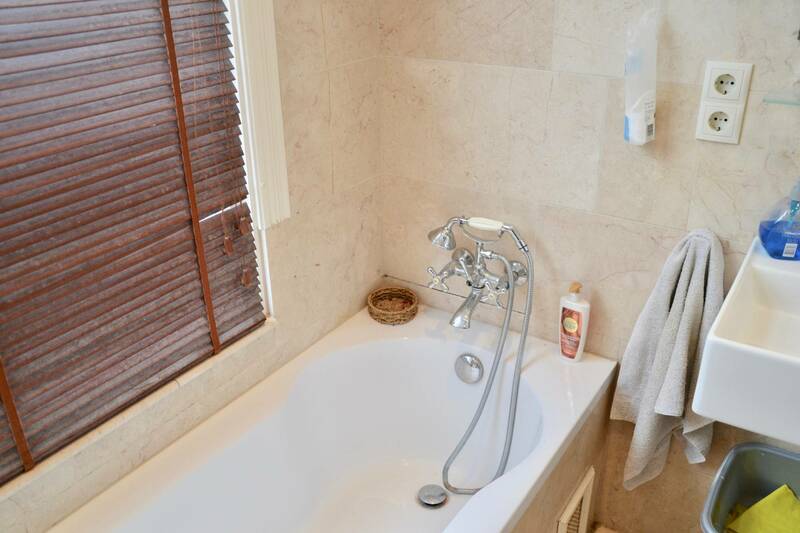 Marbled bathroom with a bath separate shower and washing machine. 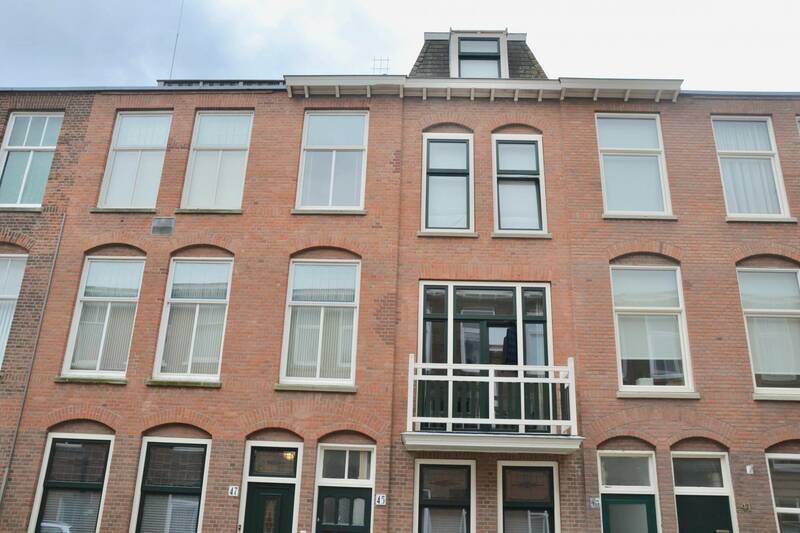 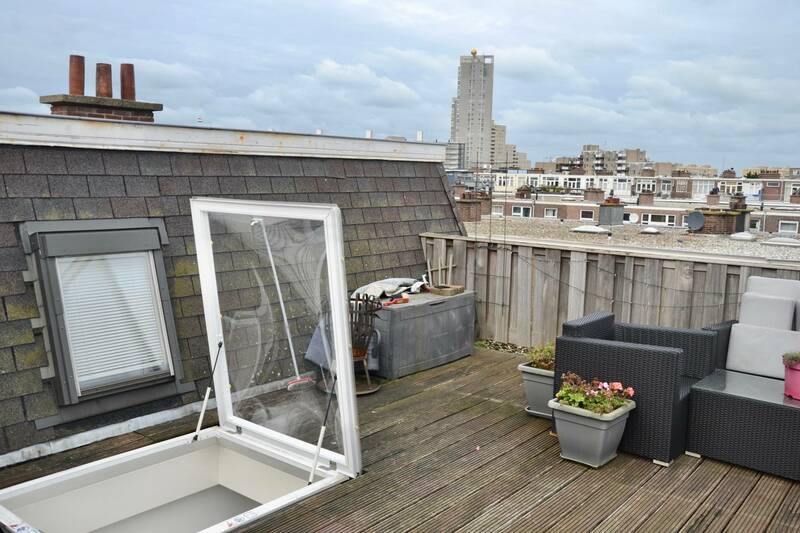 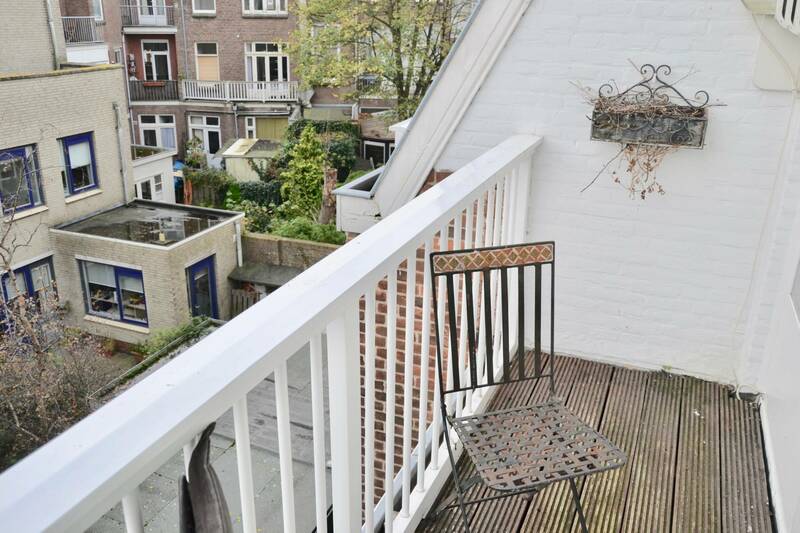 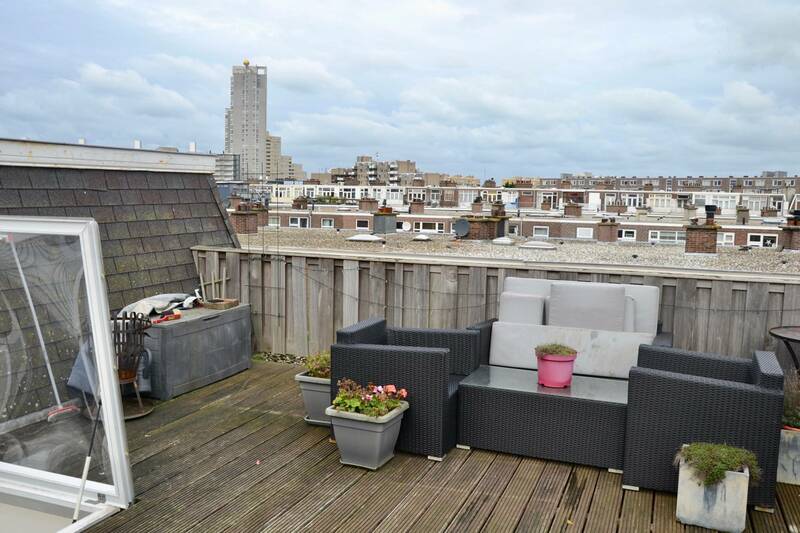 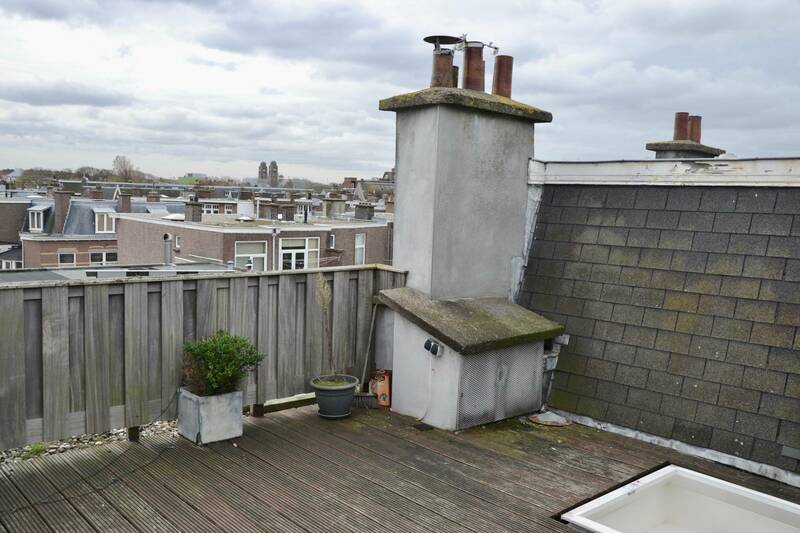 From the second floor stairs lead you to the spacious roof terrace which overlooks the city centre of Scheveningen. 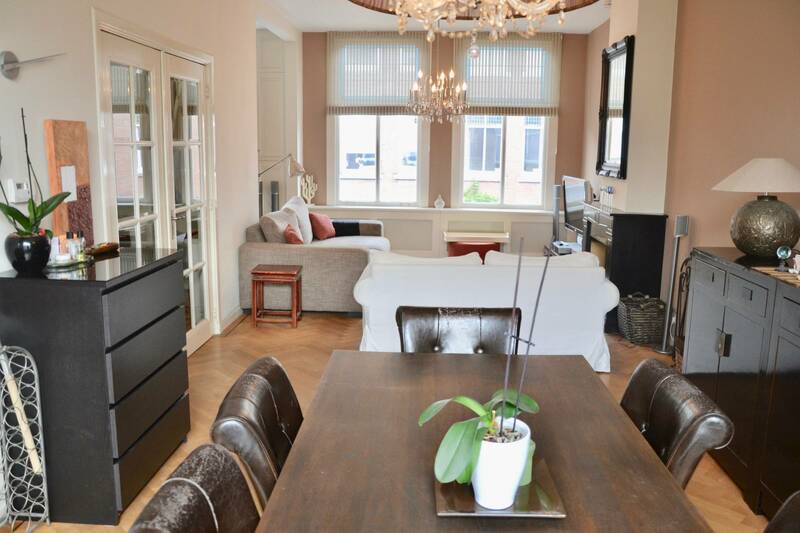 Sea and lovely boulevard of Scheveningen within walking distance. 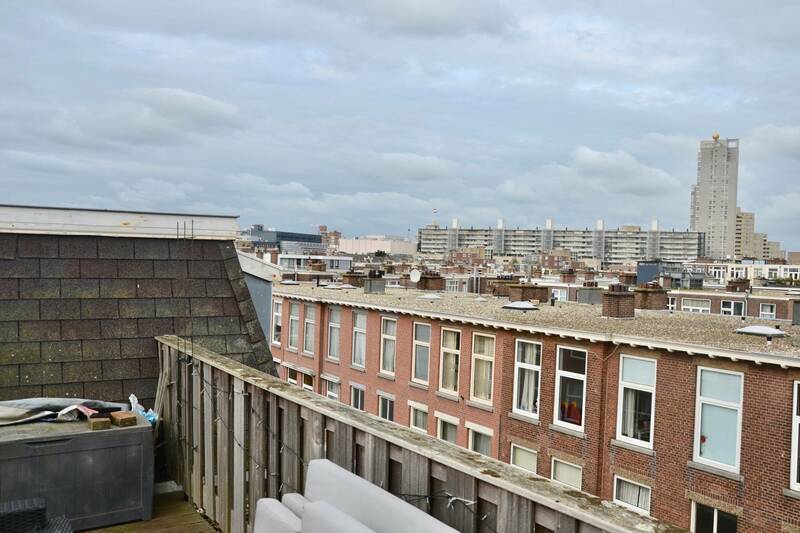 Shops and restaurants can be found in the Stevinstraat and the old centre. 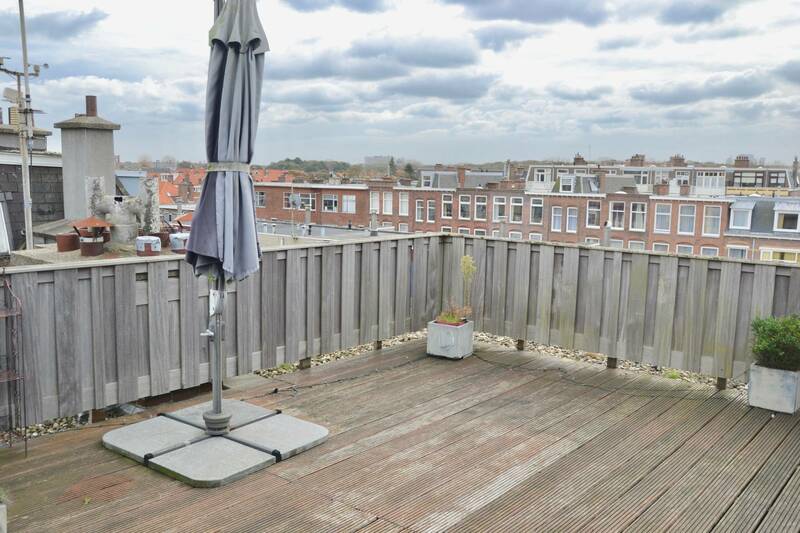 Tram and bus stops can be found one block away. 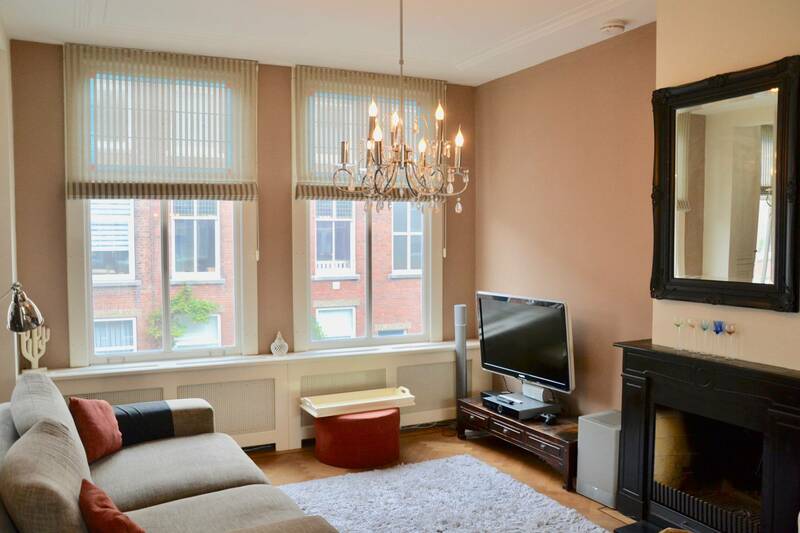 Tram 1 will bring you all the way to The Hague centre and central station.